This domed brushed tungsten wedding band for men women is a combination of rose gold and black. 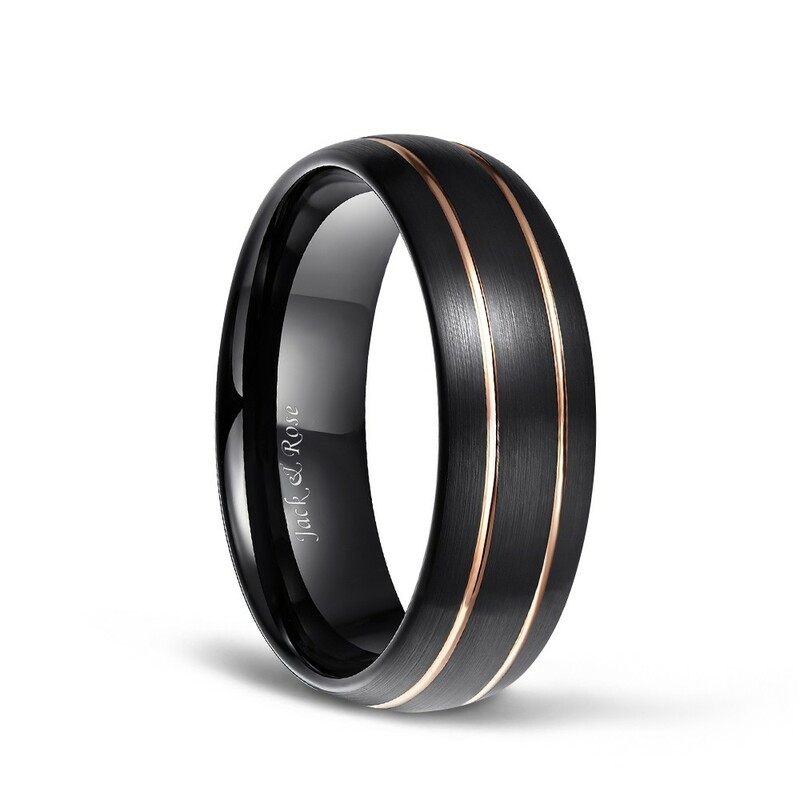 The ring is crafted with a brushed finish and the black brushed center has two thin grooves for a unique design. 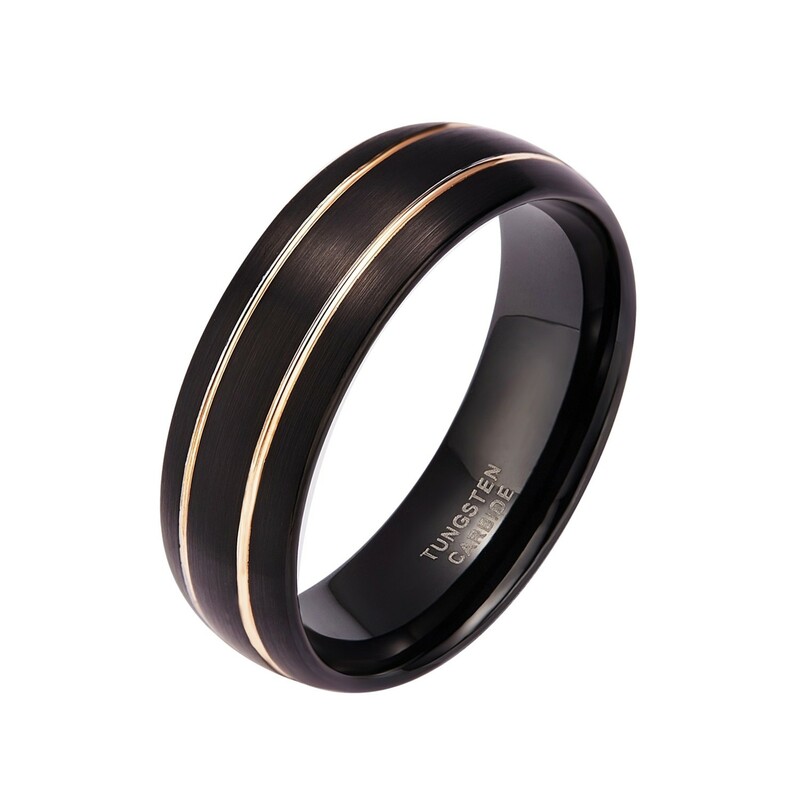 The ring is made of tungsten carbide, which makes it more durable, scratch-resistant and maintains color for a long time. We provide lifetime quality assurance and good customer service. It is a great gift for marriage, engagement, anniversary, birthday. 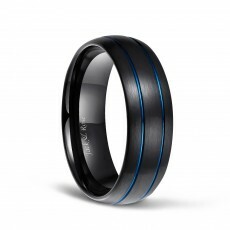 This ring is strong and virtually unable to be dented in day-to-day use. It is very masculine and doesn't appear cheap despite the price tag. I love it. I love my new ring. I bought this ring as a replacement for my last one. It's super comfortable and looks just as I expected. I wanted something simple and this was perfect. I would recommend this and I might buy a bigger size for when my fingers swell in the summer time. 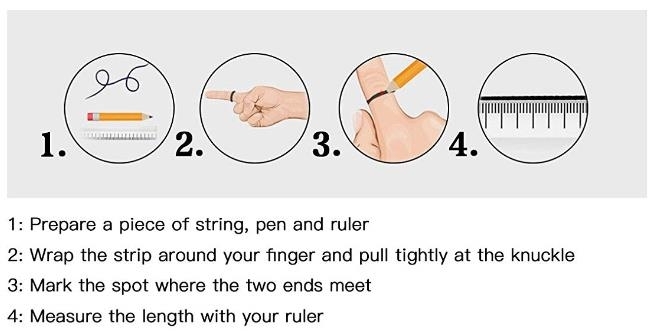 It fit perfectly as expected. I’m planning to get marrie on Dec. I do not have a big budget. 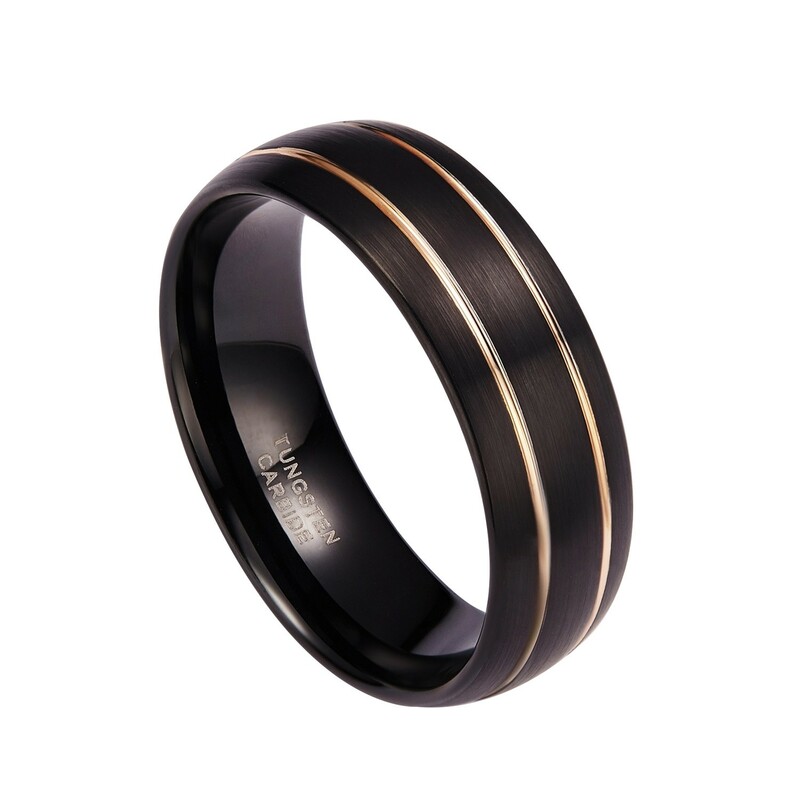 I’m please with the beautiful wedding band just perfect for the occasion.